After the warm response from the commuters of P2P buses from Froehlich Tours, another bus company has started this time from Alabang to Makati. 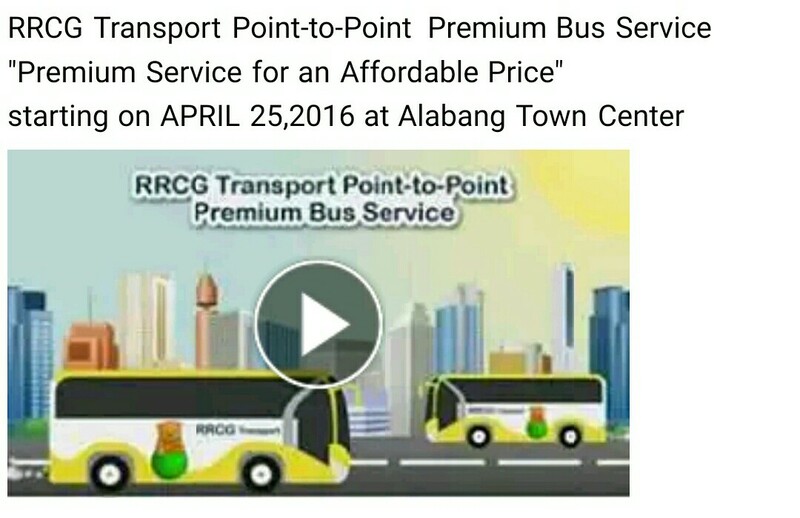 RRCG Transport will start having their premium buses for P2P this April 26, 2016 and from Mondays to Saturdays from 5:30 am to 8 pm. The route will be from Alabang Town Center (ATC) to Greenbelt (and vice versa) and the bus will leave every 30 minutes. From April 26 to May 1, 2016, they will have a promo price of Php 50 but starting in May 2, they will implement the regular fare of Php 70. 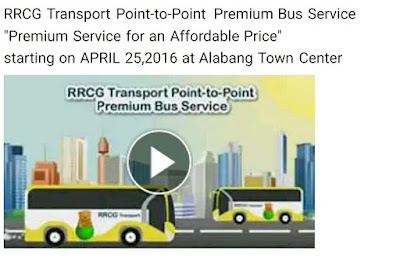 ATC bus stop will be outside near Red Ribbon while at Greenbelt, it is designated near Mercury Drug at Greenbelt 1. Of course, there will be a 20% discount for students, senior citizens and PWDs.